Betway has grown to become one of the major online bookmakers, employing over 500 people and sponsoring teams and events in a multitude of events. And we are happy to see this includes sponsorship of the MSLT20 league and the West Indies national cricket teams. They have great bonuses, software and odds. In recent years they have built a fine reputation in the community. As shown in their trustpilot rating of 'Great', evaluated by over 4000 customer reviews. Along with a staggering amount of cricket betting options for each game, its no wonder we have selected Betway as our top pick for online cricket betting. Once upon a time, Betway was considered a rogue betting site. Lots of people complained about them, and they appeared more like crooks than a serious business. Well, they have turned over a new leaf. Yes, we are 100% sure that they are not here to steal your money. Betway is licensed in several different countries, including the coveted UK gambling commission. They have third party certification by eCOGRA, as well as cooperation with MGA, IBAS and ODR. An independent team that investigates customer complaints. Very few complaints when compared to their sizeable player base. In our dealings with them, they have never given us any reason to doubt them. Since 2015 they have been the major sponsor of the PL football club West Ham. A partner of this size would not accept being associated with a group of vagabonds. In addition the amount of publicity Betway receives means they can't really afford to make stupid mistakes like not pay out winning bets to their players. All of this are things that show you Betway are in this market for the long haul. If this is not enough to convince you, just try the next site in our recommended section. Or read below for more reasons explaining why we have chosen Betway as our top bookie for the past several months. Everything in our reviews, including our assessment of trust, are done to the best of our abilities, and with the best intentions. If you notice any mistakes please send us a message. Let’s start with the free stuff - What do you get at Betway? Betway has a sign up offers. But it will depend on where you live. For our Indian players we have managed to make a great deal with Betway. By signing up through our site they receive an exclusive ‘100% Deposit Bonus up to ₹300,00! We are very proud to offer our users such a wonderful prize. Its probably the largest bonus we have seen for sports-betting from a serious bookmaker. Read the full terms and conditions if you are unsure about anything. It will vary from country to country. The best way to know what you’re eligible for is to visit their site and see for yourself. While you’re there you’ll notice that this offer expires 7 days after you create your account. This means that you have to make your first deposit before that time has expired. Make sure to think about the amount you want to deposit the first time, you only get one chance at this bonus. And adhere to their play through requirements: 6x Bonus wagering in the next 30 days. Betway also offer regular promotions to existing players. The most tempting offer is currently a free bet of ₹250 when you wager ₹250 on selected cricket or football matches. As with all betting sites remember to read the terms and conditions on Betway's website before you start wagering. In general they are good natured and will accept obvious mistakes on the players part. If a bonus is forfeited it is usually because of multiple accounts registered to the same player, or using incorrect information when signing up. So make sure you avoid a silly mistakes when registering your account, and if you have any issues, be sure to contact their support for any assistance you might need. The most important part: What are their cricket betting options? As you can expect from a five-star rated bookmaker, any cricket match of a decent size is available to be bet on. And not only common bets like: to win, win/draw, totals and outright. In fact the bigger matches can have upwards of 50 (!) different betting options for just one match. Overall they have a great selection of cricket markets and bets. Outside of cricket you’ll have more than 28 markets you can wager on. This includes sports like Kabaddi, Basketball, Esports, Soccer, Politics, Horse Racing, Badminton, NFL, Tennis, Hockey and many more. They have a robust in-play section too. Featuring Cricket and other big sporting events. 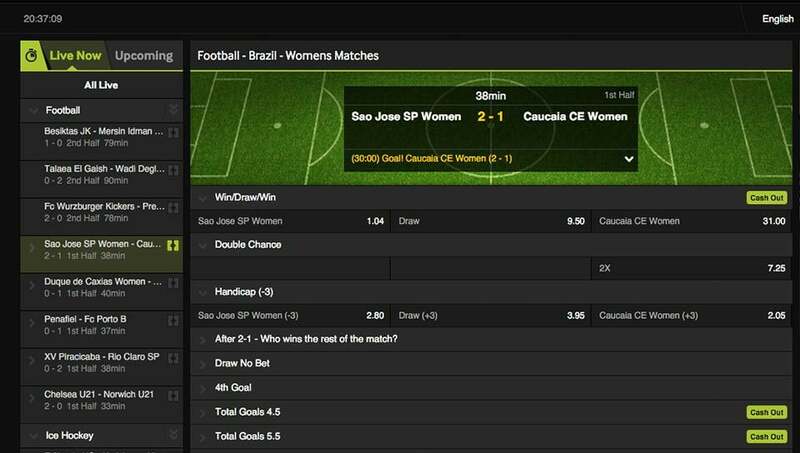 The more popular bets often include a cash out option as well. Betway accepts several payment methods. It just depends on where you live. If you want to see if they accept a specific option you’ll need to head to their site. Except for Visa the same option used to deposit can be used to withdraw winnings. The main difference between withdrawals and deposits is the documentation required before the first withdrawal is accepted. When depositing with Neteller, just enter the email you have registered with Neteller, and secure ID is the 6 numbered code you chose on the Neteller site. If you have two factor authentication enabled you should enter the 6 numbers from your authentication app instead. We recommend enabling two factor authentication whenever its offered. When depositing with Skrill, make sure that you have deposited with a method that will allow payment to merchants (not MasterCard for instance). Then its just a matter of entering your account and password information. You can also use Skrill to pay with credit or debit cards, but so far we haven't had any more success with this than just depositing directly to the sportsbook. We would recommend first depositing to your Skrill account. Deposit: If you have a money available in your card/E-wallet this will clear instantly. And you can place your bets within seconds. Withdrawal This is a bit slower. 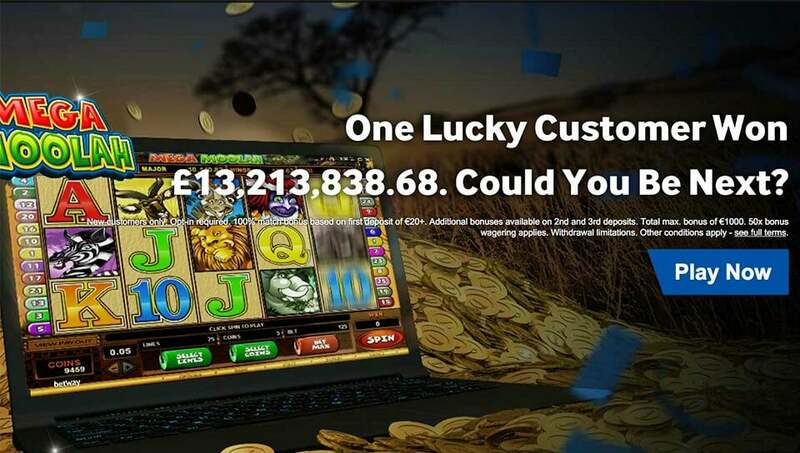 The very first time you withdraw winnings support uses 24-48 hours to review your account. After that process is completed the time varies with method. Longest being 3-7days for MasterCard accounts but can also be as short as two hours for some e-Wallets. Live chat and email are available 24/7. How fast you get a response will depend on time of day and traffic to support. So far we've received reply to emails pretty fast (10-30minutes). If you prefer talking to a human rather than just typing at your keyboard (you weirdo). Betway has a no-charge phone number you can call from anywhere in the world. The line is open from 8AM-Midnight, British time (about 4 hours behind Indian timezone). We think the software is well-designed, intuitive and easy to use. The site loads quickly on both mobile and desktop versions. Its easy to navigate between different sports and matches. Changing language, odds type and customer support are all easily accessible. The betslip is easily managed. When selecting multiple matches, you can decide if you want to bet on several single matches or combining them to doubles/multiples for higher odds. Hopefully we have been able to show you why we think Betway should be your main cricket betting site. They are trustworthy, offer bonuses, good odds and have a helpful support staff. One of the few sites we have deemed worthy of a full 5 out of 5 stars rating. However if you have other preferences than us, or just dont want to forgive past sins, then there are plenty of more fish in the sea. 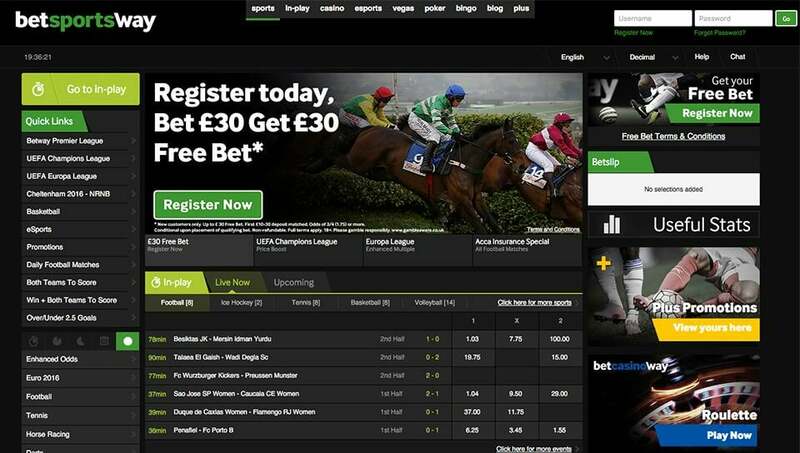 Just head over to our betting sites section and pick another site. Maybe you even want to create accounts at several sites?